"Stand at the crossroads and look; ask for the ancient paths, ask where the good way is, and walk in it, and you will find rest for your souls..."
Crossroads is an imperfect church, with imperfect people, serving a perfect God. If you are hurting - you are welcome. If you are searching - you are welcome. If you are a believer - you are welcome. We all have crossroard in our lives. It is our goal to help, encourage, share, and love one another as we go through life's journey. It is our prayer that our Father will guide you in your walk. Thank you for visiting and viewing our website. You are invited to join us on Sunday mornings at 10AM. 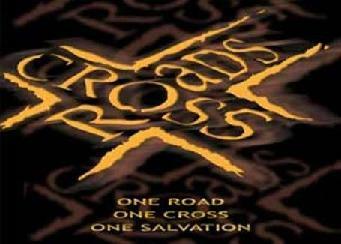 � Copyright 2008 Crossroads Christian Church. All rights reserved.